Clarksville, TN – When Courtney Cousin walked across the stage to accept her Bachelor in Business Administration in business marketing from Austin Peay State University in early May, it was an affirmation of her work in the classroom. 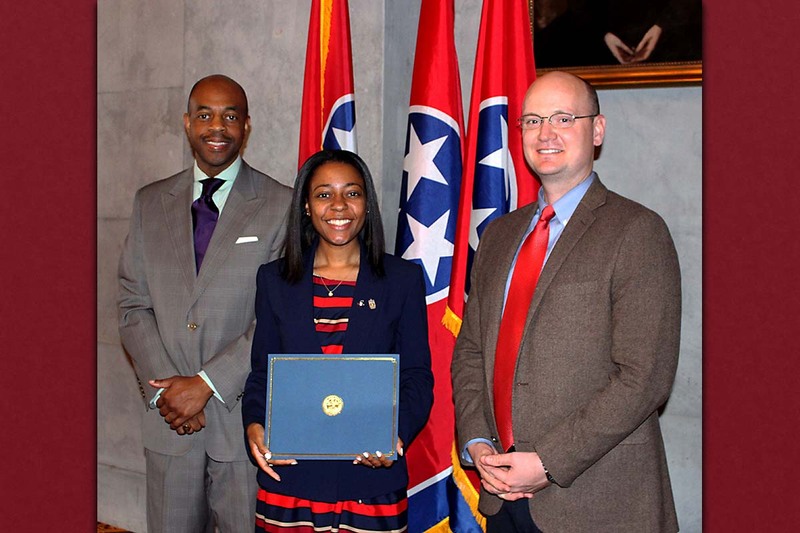 One month earlier, Cousin’s tireless work in the community was recognized as the APSU senior joined APSU biology instructor Colleen White in receiving the 2017 Tennessee Higher Education Commission Harold Love Outstanding Community Service Award. 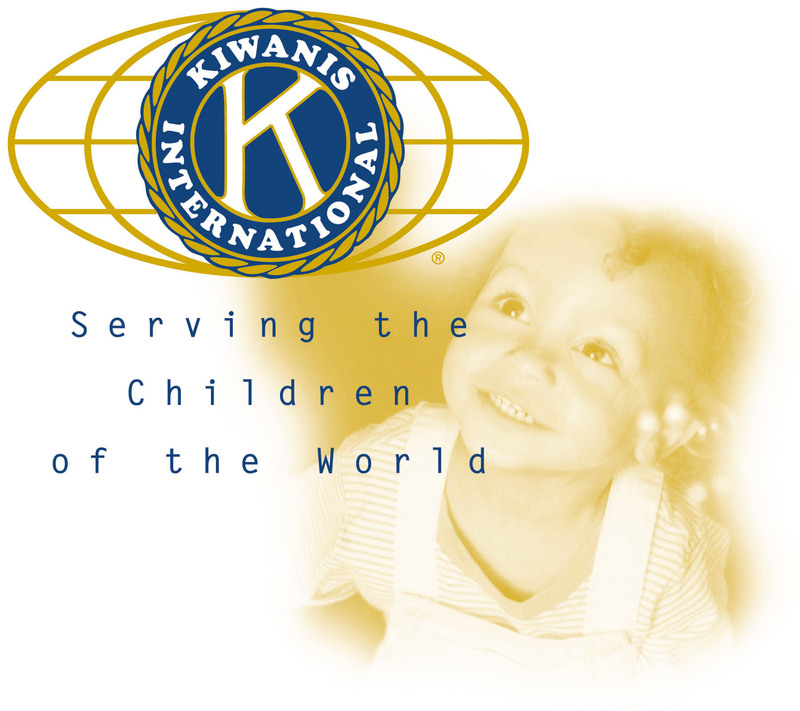 Clarksville, TN – The Clarksville Kiwanis Clubs gathered together on December 7th 2010 to bring the joy of Christmas into the hearts of 216 children from the Headstart program and various area child care centers. The annual Children’s Christmas Party is a partnership between the Hilldale and Downtown Kiwanis Clubs, and was organized and chaired by Andrew Hale, and Matt Dyce. It all kicked off on Monday when roughly 50 people gathered at First Baptist Church to wrap over $7,000 in toys purchased from area Walmarts. 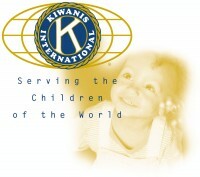 The Walmart Corporation gave the Kiwanis Club a generous discount as a donation to the program. The Toy’s included Disney Princess Dolls, Hasbro’s Littlest Petshop dolls, children’s books, Nerf Weather Blitz All-Conditions Footballs, Fisher-Price Dora the Explorer Mega Tunes Guitars, winter hats and gloves, Tonka Lights & Sound – Rescue Force trucks and helicopters, and Road rippers – Street Screamers cars. 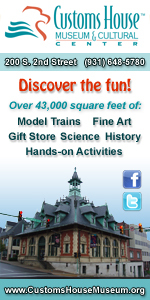 The model train layouts at Clarksville’s Customs House Museum always draw a crowd. 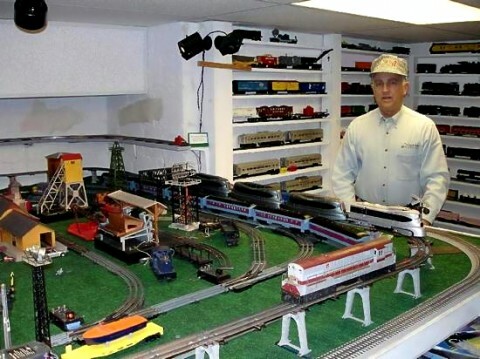 Once a year, the museum and the Montgomery County Historical Society (MCHS) host TRAINFEST, where people who like model trains will find much more to enjoy. 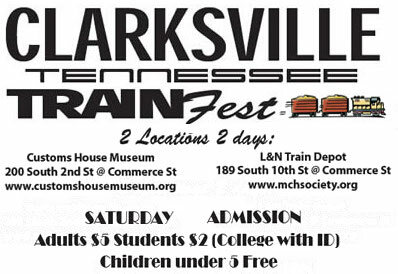 Trainfest 2010 will be held May 1st and 2nd at the Customs House Museum and the L&N Depot in Clarksville, Tennessee.